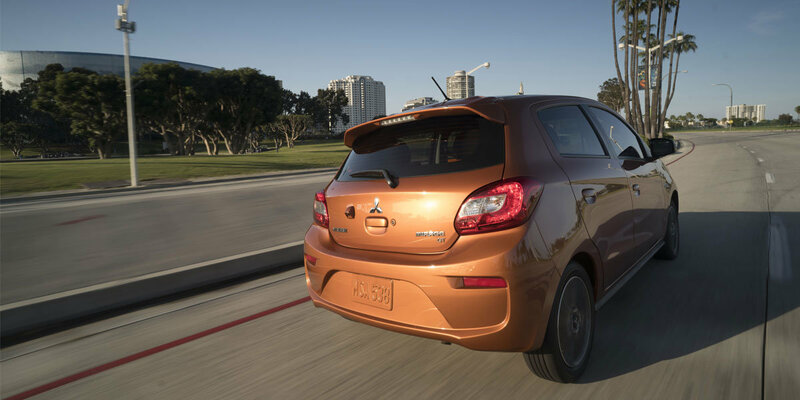 The 2018 Mitsubishi Mirage is fuel efficient, easy on your wallet, and stylish. Choose from eight bold and fun exterior colors and enjoy all the features that come with this subcompact vehicle. 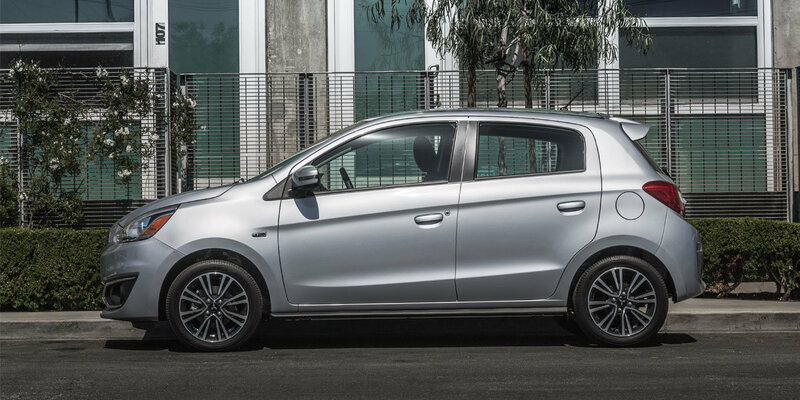 The Mirage will ensure that you stay safe on the roads. It has a Reinforced Impact Safety Evolution body that absorbs energy in case of a high-impact collision, side-impact door beams, and utilizes crumple zones. 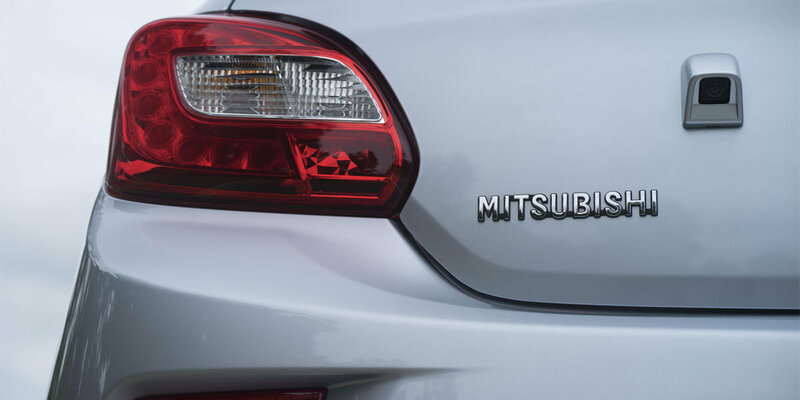 Its standard LED taillights and halogen headlights give you optimal visibility when driving at night, and Active Stability Control keeps you in control by increasing traction when needed. 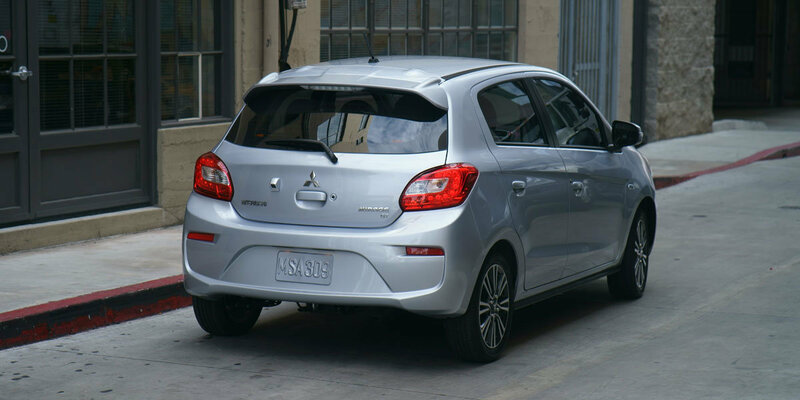 The Mirage is backed by Mitsubishi’s 10-year/100,000-mile Powertrain Limited Warranty. It is one of the most durable cars out there, and you’ll enjoy driving it for quite some time. Plus, it gets an impressive gas mileage on the highway, saving you tons of money on gas. 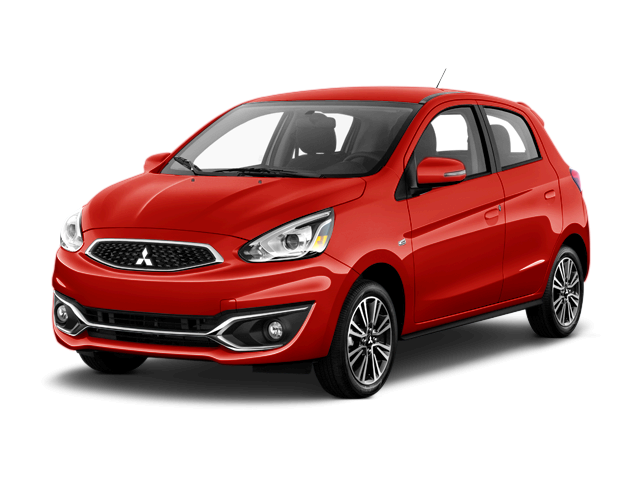 Come on out to Morgantown Mitsubishi and test drive the 2018 Mitsubishi Mirage. We already know you’ll love driving this fun and fuel-efficient vehicle. Contact us online to set up a test drive today! Infotainment screen size: 7 in. Infotainment screen size: 6.5 in. Infotainment screen size: 6.5 in. Includes front and rear mudguards and scuff plates. Includes front and rear mudguards, exhaust finisher, scuff plates, black leather and aluminum shift knob, cargo mat and cargo net. 4 Apple CarPlay is a trademark of Apple Inc., registered in the U.S. and other countries. 5 Android, Android Auto, Google Play, Google Maps and Hangouts are trademarks of Google Inc.
6 Calculations are based on an average of 15,000 miles driven per year, an average cost of $2.00 per gallon of fuel, national average prices for the commodities listed and the average estimated MPG for category competitors. All calculations are approximate and for illustration purposes only.